Give each child a small portion cup, (3 oz. bathroom cups work well too) and then place a bowl of jelly beans in the center of the table. Allow the children time to talk about the colors. Place glue in the bottom of the portion cup and ask them to glue the proper jelly beans as you read this little poem: Red is for the blood he shed, Green is for the grass he made, Yellow is for his sun so bright, Orange is for the edge of night. Black is for the sins we made, White is for the grace he gave, Purple is for his hours of sorrow, Pink is for a new tomorrow. Make a copy of the poem for each of the children and send it home with the cup of jelly beans. The best part of this project is that when everyone has finished, you can give each child some jelly beans to eat!!! Send home colored paper to each family and ask them to trace and cut out everyone’s hand. Write a letter explaining that Jesus died for every adult and child and that He loves and accepts everyone. Collect the cut-outs and arrange on a large wall to make a big cross! On day one I have the children sponge paint a 4ft. high cross cut from butcher paper. After it dries we hang it in a prominent place and put a sign above it that says “Jesus died for us” For the rest of the week, I have precut flowers cut from construction paper. The children, teachers, and parents choose a flower and write their name on it and glue it to the cross. It is a lovely display as the cross is filled in. Take a large piece of heavy white tag board and using a blade knife cut out a large cross, leaving a good size border. Give the children a piece of clear contact paper and lots of small pieces of tissue paper. Let them cover their contact paper then top this work with the tagboard frame. They now have a beautiful rainbow colored sun-catcher. God bless. In my preschool class at Easter, we do a project that is easy and enjoyed by the whole school and then taken home to remind us of Jesus’ love all year. On a piece of black construction paper, I cut out a cross in the middle of the paper. I supply the children with pieces of tissue paper cut up about 2×2. The kids put glue all around the outside edge of the cross and put different colors of the tissue paper covering the cut-out cross. We then hang them in our classroom window for all to admire from the outside. After Easter, the children take home their picture to hang in their bedroom window so that every day the sun shines in so they can remember that Jesus died for us. Easter Cross Cut a cross out of cardboard. We make them about 12 inches tall. Crush clean and dry eggshells into small pieces and color with a mixture of alcohol and liquid watercolor. Let dry. Apply shells to cross. Spray with clear acrylic spray. OR>>>>> Use colored rice and spray. The rice becomes somewhat translucent. They are beautiful and the parents love them! Knead 7 – 10 min., until smooth and firm like pie crust dough. Roll out and cut with cross-shaped cookie cutter. Place crosses on foil-lined sheet. Bake at 300º, 30 minutes for every ¼” thick. *If dough puffs, pierce puffed area and reduce to 250º. *You can brush with egg/milk mixture after 15 min. of baking for a shiny brown glaze. Teacher Prep: Fold a piece of black construction paper in half. On one side cut out the shape of a butterfly, on the other cut out the shape of a cross. These shapes should be large enough to fill the space and still allow some border on either side. On a piece of white construction paper have the children paint a watercolor rainbow. This is very freeform. Let them use all the colors. When this dries, glue the black paper on top of the watercolor paper and fold in half. Write “Joyous Easter” and the child’s name on the inside (this can be done before they paint). Each child takes home a card for his/her parents showing the very sad and very happy story of Easter. We do this at our preschool every year at Easter time. Teacher Prep: place a masking tape cross on glossy finger-paint paper. Child: finger-paints or paint with a brush over the picture with purple tempera paint. When dry, pull the tape off to show a white cross. We frame this with a large oval shape cut out of a white square about 15 x 18 inches, and add a small cutout banner to it that says.” Jesus Is Alive”. 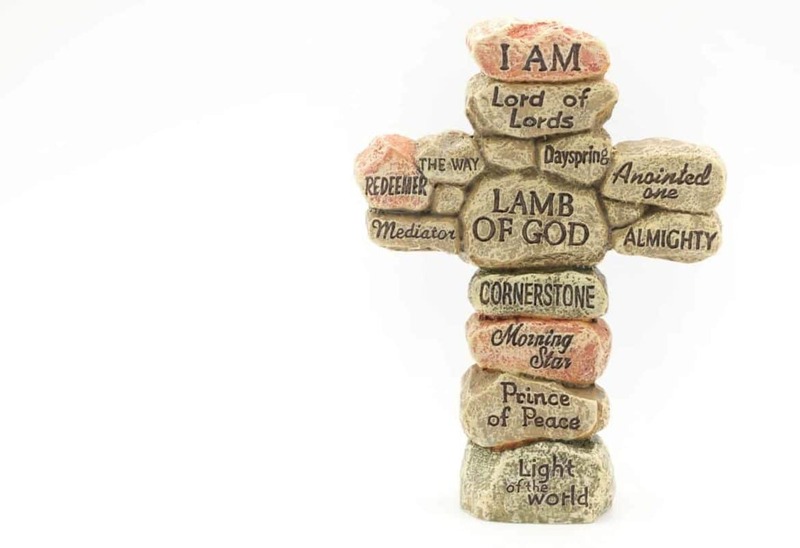 We usually make the cross to be about 12″ high. Cut out a white cross from construction paper. Splatter paint red, to represent the blood Christ shed for us.